Our online certified Health & Safety training provides the perfect solution that enable you to comply with current safety legislation in a cost efficient and user friendly way. Meticulously created by experts using the latest microlearning approach to training and, where appropriate, reviewed by the relevant organisations such as RoSPA, CIEH and UKATA, the courses are easy to use, engaging and interactive. There are 26 courses available which cover all the major areas of Health & Safety compliance training. All courses are PC, laptop, tablet and mobile friendly - so you can complete them any time anywhere. Each course includes a test which, once passed, allows you to download your personalised certificate. 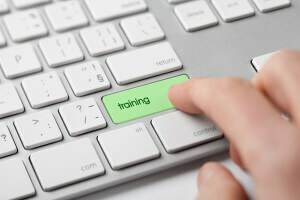 Details of the available Health and Safety online courses are presented below. Please take time to look at these. Clicking the Buy Now button will take you to our Courses123 website where you can securely place your order and pay. You can order a single course for yourself, or multiple copies of the course for your employees. Don't forget to enter the special offer code to get your 10% discount! Once purchased you will receive a confirmation email with a link to the course and your invoice. If you have ordered multiple copies of the course you will receive separate access links that can be forwarded to each of your employees. To access the course, click on the link, fill in your first and last name and you're ready to start. You will be given 12 months from date of purchase to take the course. Save 10% off the course fee - Click the Buy Now button and enter coupon code SPEARHEAD on the booking form. Drug & alcohol abuse in the workplace should concern everyone. Not only do they damage an employee's health, but they cause lateness, absenteeism, increase the risk of accidents occurring and dramatically impact on individual productivity. This Alcohol and Drug Awareness eLearning course is ideal for all your employees and managers. It will inform them of the dangers of alcohol and drug abuse and covers how to deal with any such abuse in the workplace. This Asbestos Awareness course should be used to raise awareness of the dangers of asbestos. It is suitable for educating any employee who may come into contact with asbestos containing material in the work environment. This in-depth online Asbestos Awareness training course is approved and certified by the United Kingdom Asbestos Training Association (UKATA). A mandatory training course for anyone (employee or contractor) liable to encounter or disturb asbestos containing materials. This RoSPA approved Control of Hazardous Substances (COSHH) online training course provides an overview of what a hazardous substance is, how they are classified and how to implement safety measures to ensure that users can work safely with them. It is the ideal course for all employees whose work might involve handling of, or close proximity to, hazardous substances. This RoSPA approved CPR Essentials online training course provides information on resuscitation procedures and will help delegates provide basic life support to a cardiac arrest casualty. All workplaces should have people who know how to perform this life-saving intervention. This DriveWize course is designed specifically for those driving in the Republic of Ireland. It will ensure your employees are aware of their legal responsibilities when driving on a public roadway in Ireland. Delegates will also learn about the driving behaviours that cause accidents and safe driving techniques. This DriveWize course is designed specifically for those driving in the UK. It will ensure your employees are aware of their legal responsibilities when driving on a public road in the UK. Delegates will also learn about the driving behaviours that cause accidents and safe driving techniques. Almost everyone in the modern work place uses some form of Display Screen Equipment (DSE) at least part of the time in their job. Incorrect use of DSE workstations is associated with neck, shoulder, back or arm pain, as well as with fatigue and eye strain. This RoSPA approved ErgoWize online DSE training course is suitable for all employees and will teach them the correct setup and safe use of their computer workstation, desk and chair. This RoSPA approved ErgoWize online DSE training course is suitable for all employees and will teach them the correct setup and safe use of their computer workstation, desk and chair. The course includes a risk assessment that once completed by the delegate can be downloaded, printed and passed to the appropriate manager. This RoSPA approved Electrical Safety online training course is suitable for all employees. It promotes the safe use of electricity in the working environment and highlights the dangers associated with misuse of electrical equipment. This Environmental Awareness online course is suitable for all employees. It is designed to raise their awareness of resource efficiency and waste management practices. It will encourage them to reduce the waste they produce and the amount of energy and water they use at work. This RoSPA approved online Fire Safety Training course is suitable for all employees, managers and supervisors. It provides essential information about potential workplace fire hazards, looks at how employees can help prevent fires, and explains what to do in the event of a fire at work. This RoSPA approved Fire Warden online course is designed to provide those appointed as Fire Wardens in the work place with an understanding of their duties in the prevention of fires and their responsibilities in the event of a fire. This course is for all employees about to commence work in a food handling or preparation environment. It covers the syllabus requirements for Level 1 training as specified by the CIEH and is RoSPA approved. This course is for all employees who work in preparing, cooking and handling food in the catering, manufacturing and retail sectors. It is an accepted way of complying with the food safety laws, has been through a thorough approval process with the Chartered Institute of Environmental Health (CIEH) and follows the CIEH syllabus level 2. This online course is a cost effective way to provide induction or refresher training so managers, supervisors and cell/team leaders understand their legal responsibilities and how to manage health and safety in their area or department. This Manual Handling Online Training course is the ideal way to train all of your employees in the basics of manual handling whatever their job. An estimated 909 000 working days a year are lost due to handling injuries - correct training of your employees can prevent such injuries occurring. This Health and Safety online training course provides an effective and cost efficient way to comply with the Health and Safety at Work Act 1974. All employers should provide appropriate Health and Safety Induction training for all their employees. This course provides appropriate information and the training necessary for those whose job involve carrying out water management tasks as part of their organisation’s water management system. It is particularly appropriate for those who are responsible for protecting their organisation from Legionella, particularly employees who manage, control or monitor the risk of such exposure. This course is essential training for those who are pregnant in the work place and for those who have given birth in the previous 6 months and are returning to work. It is also useful training for all managers and supervisors who have women of child bearing age in their team. Use this course to fulfill your legal responsibilities under the Noise at Work Regulations 2005. Suitable for all employees who work in a noisy environment or with noisy equipment. This course is designed to improve the occupational health and safety of employees in the workplace. It is suitable for all members of staff, including managers, supervisors and cell/team leaders. This course is suitable for all employees, managers and supervisors - regardless of the industry or environment that they work in - who are involved in developing a risk assessment and/or enforcing procedures in the workplace. Slips, trips and falls account for over a third of all major work place injuries. They can affect everybody, irrespective of the industry you work in or whether your work is primarily indoors or outdoors. This course is suitable for all employees and contractors in any business sector. An estimated 9.9 million working days are lost per year in the UK due to work related stress, costing the UK economy nearly £5.5 billion. Providing this stress management training to all your employees makes sound business sense. Managers, supervisors cell/team leaders should also study this course as it will help them to identify and manage stress in the work place. The Working at Height Regulations 2005 requires all ‘working at height’ tasks to be properly planned. Those carrying out the work need to be trained and competent. This course provides essential training for all employees or contractors who are likely to be working at heights during their day to day activities.